I’m Marissa, and this here is my blog! I’ve had it for a while now, since 2011 actually – but I took a break, because, ya know – life. I’ve realized lately how much I miss blogging so I’ve decided to give it another go. BUT since it has been a while, I thought I’d better introduce reintroduce myself! This summer was the 1st time I’ve gone to the movies since 2009! So, that’s a little about me. I’m going to start this new relationship slow, 1-2 posts a week and we’ll see where it goes from there. In case you’re wondering, we’ll be talking about all sorts of things – fashion, parenting, dinner recipes, and whatever else I feel like. After all, this is my blog! 😁 I hope you’ll stick around for it all, I’m a pretty fun person once you get to know me! I love your attitude about posting about what YOU want! Yas girl! I have also never seen Power, Game of Thrones, or This Is Us, and I’m glad to hear that I am not in fact the only one! 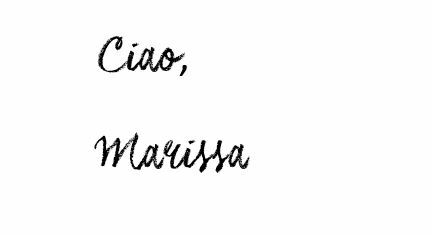 Nice to meet you Marissa! Can’t wait to see what’s to come! Nice to meet you Marissa. I too am a mom of 3. And I think shopping is not only a hobby but a sport.